As a former teacher (with teaching being one of the great loves of my life) I have been patiently waiting for Parker to be truly ready for expository text (for those of you who didn't study elementary education, "expository text" simply refers to informational writing that explains and tells facts, versus narratives that relay stories with beginnings, middles and endings). 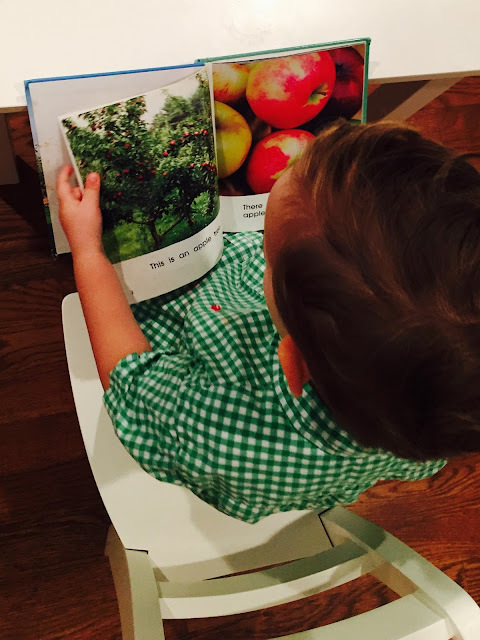 I was excited to find tons of informational books in the children's section at the local library, and we started by checking out all the books they had on apples. What perfect timing, as we soon learned that October is National Apple Month! Parker seriously loved reading the apple books, and totally understood the concept that we were reading to learn about a topic. We took out a box of our local Alabama apples while we read and talked about their sizes and colors, and cut one open to see the seeds. After reading all three books, it was time to bake something yummy! 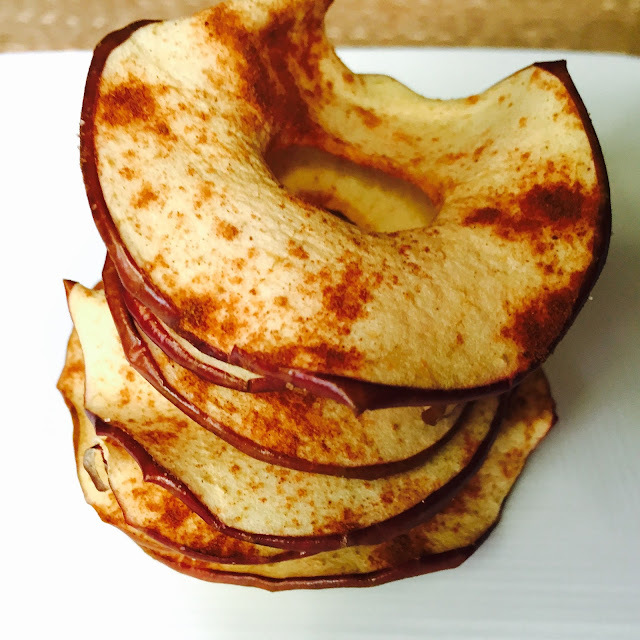 I cored one of the apples and sliced it in super thin rings, then let Parker sprinkle on a cinnamon/sugar mix. Next, I popped the pan in a 200 degree oven for an hour, flipped the slices and baked for another hour, then left the apple rings in the oven for one more hour to cool and crisp up. The end result? 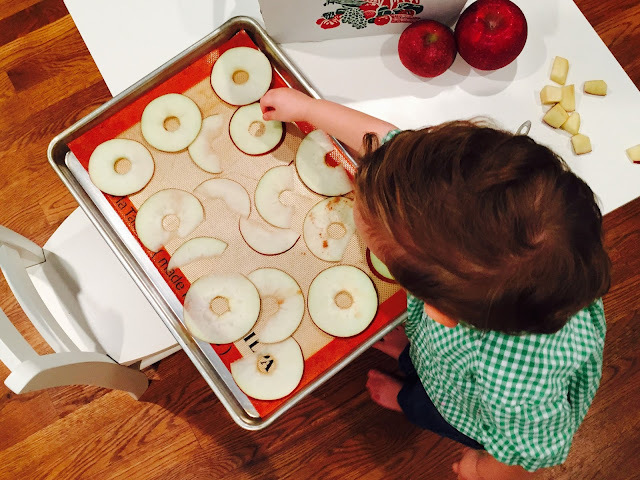 Homemade apple chips! While the apple slices baked, we crafted! Parker got a kick out of this homemade apple stamp. I just rolled out leftover packing paper on his table and let him have at it. 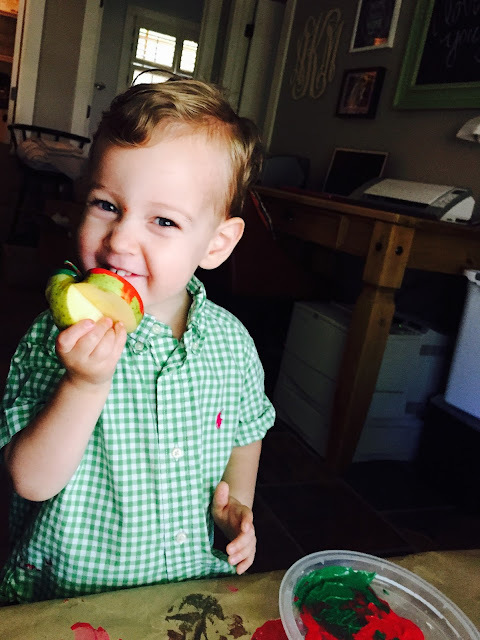 He's such the jokester - halfway through he pretended to eat the apple! We also made a piece of art for his art wall. It was an impromptu project I whipped up based on things we already had at home. 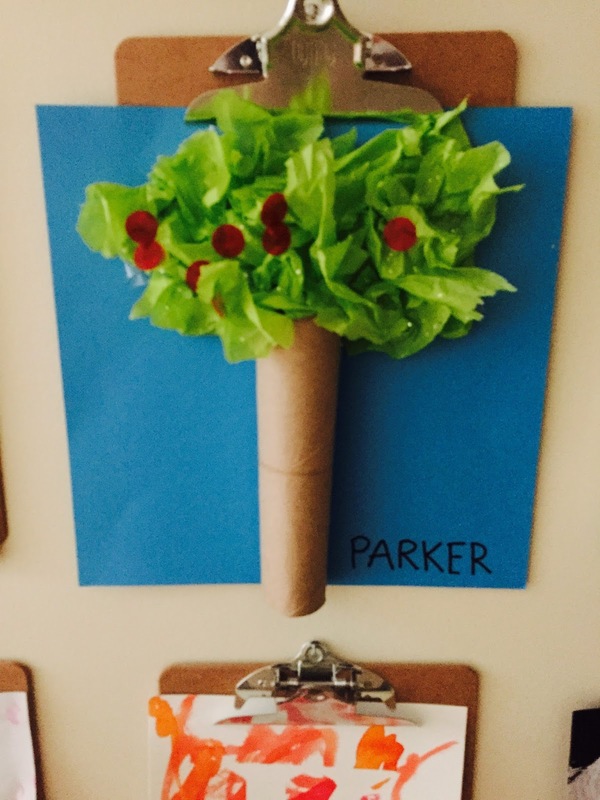 I took a leftover paper towel roll and attached it with clear packing tape to blue paper to make an apple tree trunk. I put more tape on so that Parker could attach "leaves" (the only green tissue paper we had at home was sparkly, ha!). 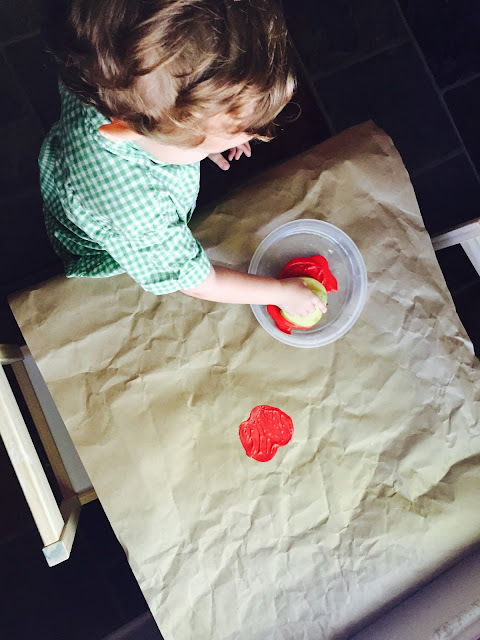 Next, he used red stickers as the "apples" and the tree was complete! It's now on his art wall, so we get to talk about apples each time we pass it. 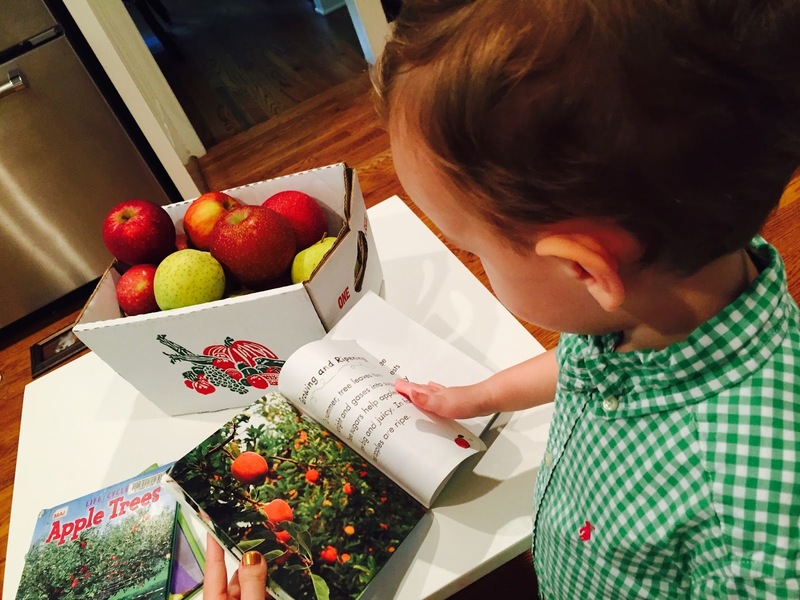 My favorite part about the whole experience was that Parker would go back to the books (even days later) and say "Going to learn about apples!" or ""Reading about apples!" and proceed through the books all on his own. 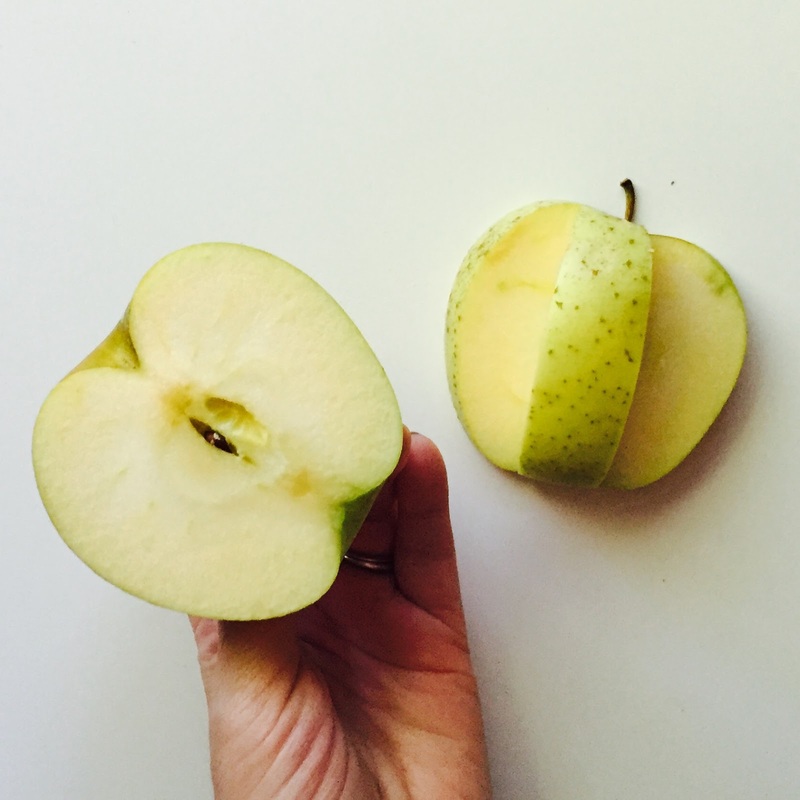 What did you use to slice your apples? And that apple tree is adorable! I'm going to do that with Connor soon! So simple yet GENIUS! You are too sweet! It was all so much fun :) For the apple rings, I just cored the apple and tried to slice it as thinly as I could with a ceramic santoku knife (it's my sharpest). Sometimes I only got half slices since I was trying to get them as thin as I could (and my aim/steadiness wasn't the best) but half rings tasted just as good :) Apparently if the rings are too think, they are chewy instead of crunchy, so making them thin was my main goal! That apple tree is adorable!! And the apple rings sound delicious! Yum! hi mande! long time follower from afar, and friend of mimi, here. 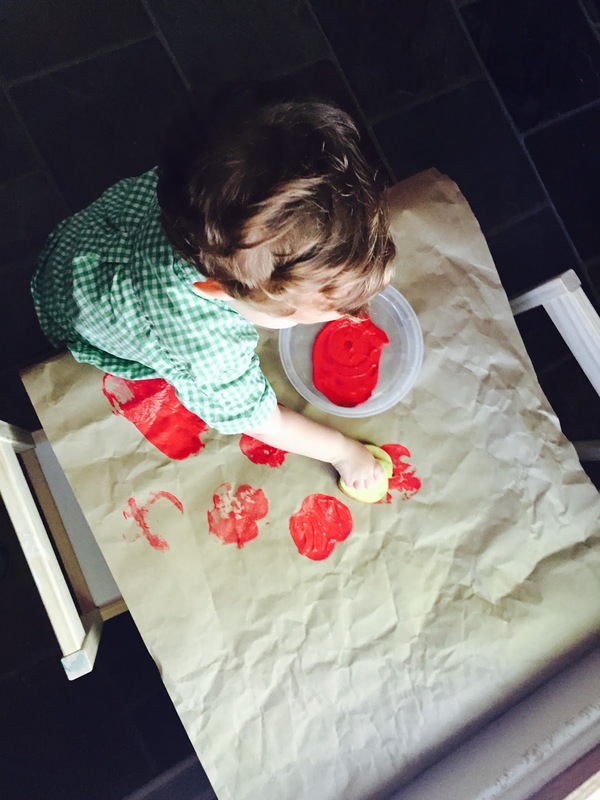 going back in your archives to find fun activities for my 2.5 year old on my days home with her. 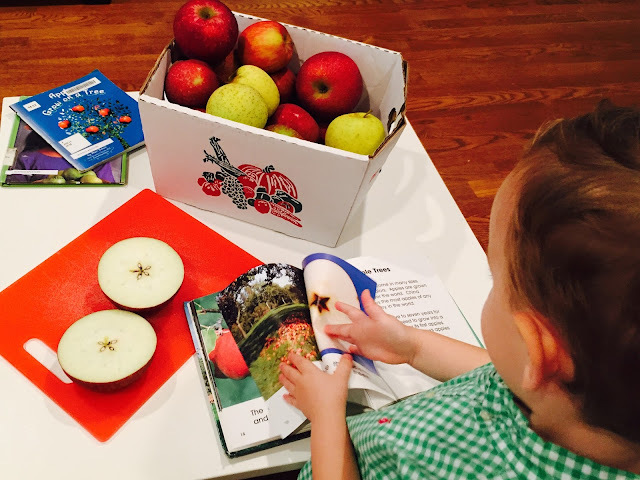 we just checked out all the apple library books, and are going apple picking tomorrow. can't wait for apple snacks, stamping, and painting next week. thanks for the great ideas of ways to help her learn about the world around her. Giveaway Wednesday - Hello Products! Giveaway Wednesday - Freshly Picked Winner!